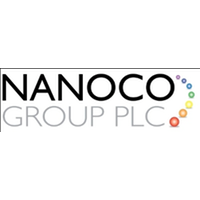 Nanoco Group plc (LON: NANO) CFO Brian Tenner talks to DirectorsTalk about a contract extension with an unnamed US company. Brian explains the work currently being done with the company and the new product and services it will provide. 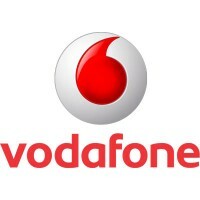 Brian also talks about the financial implications of this contract extension, revenue visibility for this financial year and next, other active discussions and what investors should look out for over the coming months. Nanoco Group harnesses the power of nano-materials. Nano-materials are materials with dimensions typically in the range 1 – 100 nm. Nano-materials have a range of useful properties, including optical and electronic. Quantum dots are a subclass of nano-material that have size-dependent optical and electronic properties. The Group produces quantum dots. Within the sphere of quantum dots, the Group exploits different characteristics of the quantum dots to target different performance criteria that are attractive to specific markets or end-user applications such as the Display and Electronics markets. One of the interesting properties of quantum dots is photoluminescence: the emission of longer wavelength light upon excitation by light of a shorter wavelength. The colour of light emitted depends on the particle size. Nanoco’s CFQD® quantum dots are free of cadmium and other toxic heavy metals, and can be tuned to emit light at different wavelengths across the visible and infrared spectrum, rendering them useful for a wide range of applications including displays, lighting and biological imaging. Nanoco has non-exclusive manufacturing and marketing licensing agreements in display with The Dow Chemical Company, Merck KGaA of Germany and Wah Hong Industrial Corporation of Taiwan.